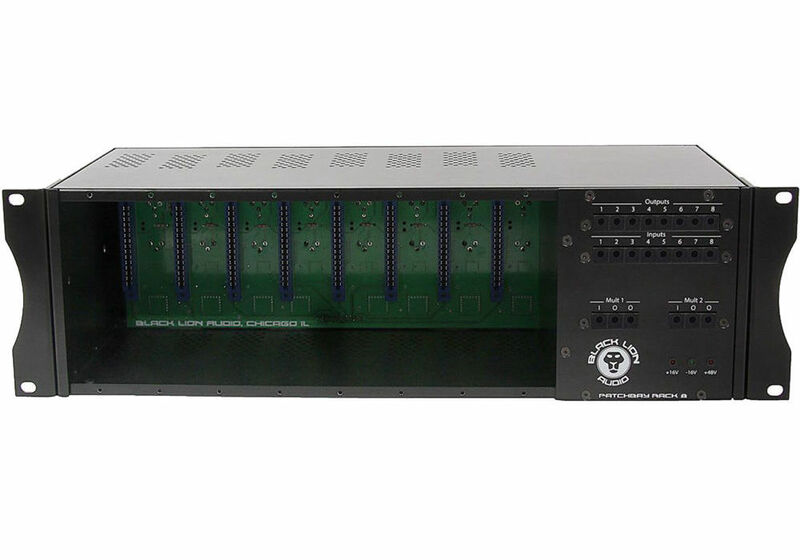 Black Lion’s PBR8 offers a fresh take on getting the most from the 500-series platform with a unique focus on flexible routing and reliability. 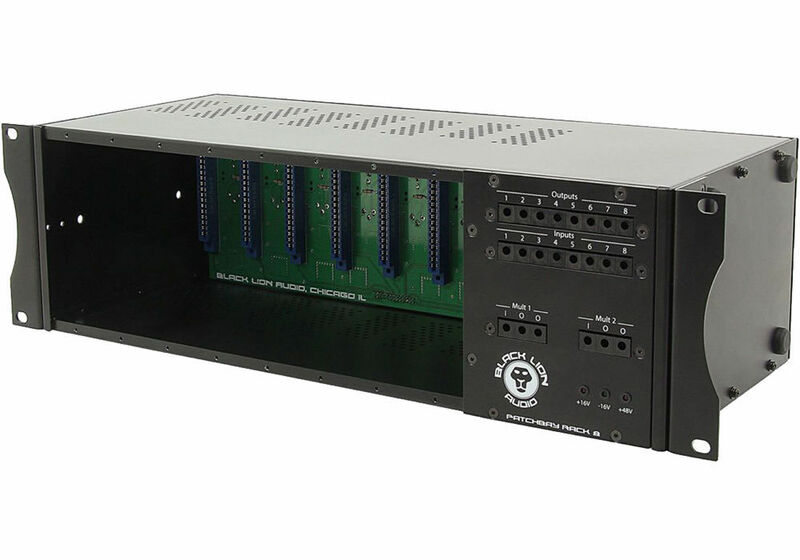 Asides from powering up-to 8 studio outboard modules from almost any manufacturer, the PBR8 also features an on-board balanced TT (Bantam) patch-bay enabling a mass of routing and re-routing capabilities. 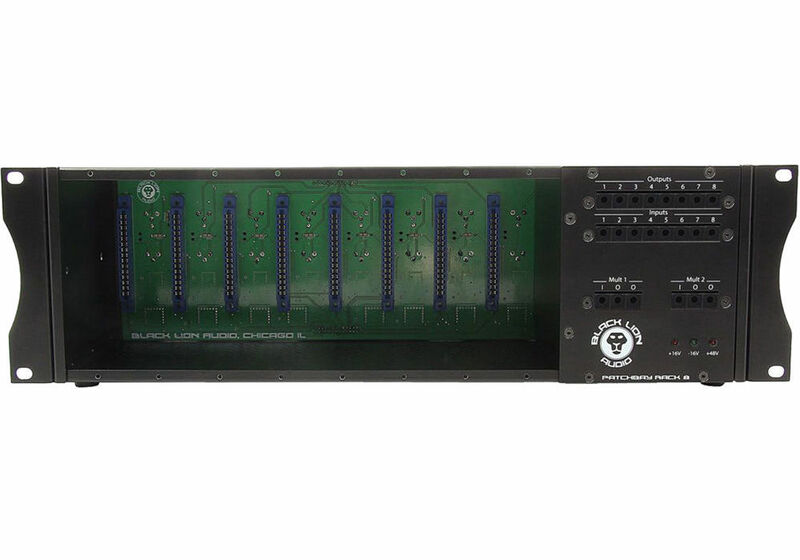 With on-board patching functionality, the PBR8 allows users to quickly dial-in and audition any preamp, EQ, compressor or other studio signal processing module, regardless of their physical mounting order in the rack. 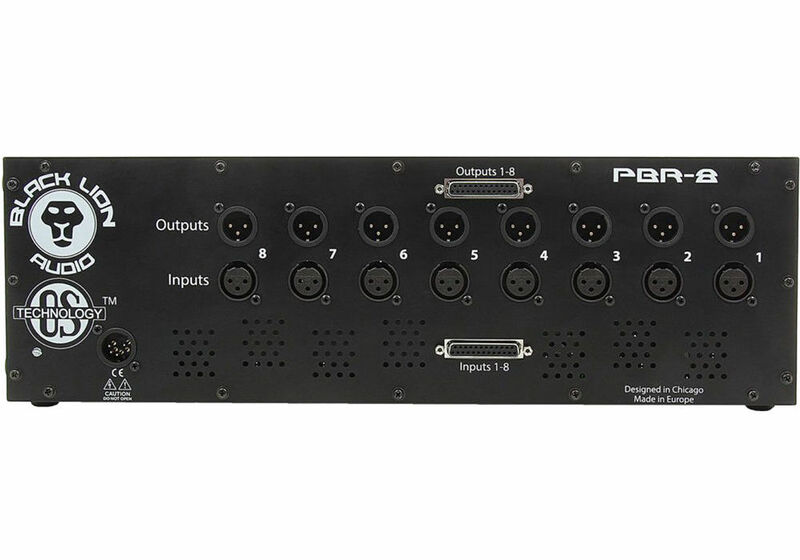 The PBR8 also features ‘On Slot,’ a technology pioneered by outboard manufacturer Heritage Audio, which isolates and distributes current to each individual model while avoiding interference and under-powering problems across the module array. In the event that any module acts up, On Slot’s protection mode kicks in to ensure the adjacent modules continue to behave normally.